I must admit that I'm largely at fault for being a bit of a numpty when it comes to the subject of this latest editorial but as the subject is entirely new to me (possibly not to you more seasoned book bloggers) I figured it was worth blogging about. It's the first time it's actually happened to us so worth a mention at least but recently we were sent a Blad to review. Now, those of you in publishing will automatically know what on earth I'm on about. A Blad is actually an acronym term for a Basic Layout and Design book, really meant to show how a book will eventually look and feel before it hits the market. Blads are usually never seen outside publishing houses or industry insiders, so it was quite something to receive half a book (hence the image above). Dutifully the publishers had included a QR code for the full text of the story (which, as digital naysayers we had no means of doing anything with) but the big problem was mine - I sat down excitedly, ready to read this hotly anticipated book, utterly deflated as it started to read wrong, like pages were missing. I hadn't noticed it was a Blad you see, simply because I hadn't started the book at the back cover where it stated such. As the book isn't out until September this was a really early review copy, again unusual for a picture book so noob error on trying to read it like most of our other picture book submissions. Bad Daddy! The book in question will be really stunning in its final incarnation, I've no doubt about it. But like being teased with an amuse-bouche when you want a plateful, it left us virtually hopping from foot to foot waiting for the full thing. 1) What if the practice of sending out 'blads' became the norm. In an industry where publishers are sending out an awful lot of review copies it does actually make perfect sense NOT to send full copies of books out to folk who are (let's be honest) 'doing it for the love of it' rather than being professional book journalists, you know, the sort of folk whose short pithy sentences usually accompany PR blurbs when new titles are sent out (That bloke from a certain red top who always seems to say the same thing - "A great children's book destined to become a classic" yet is endlessly quoted in back-cover quotes or press material). 2) If it DID become the norm, would people give up book blogging in their droves? 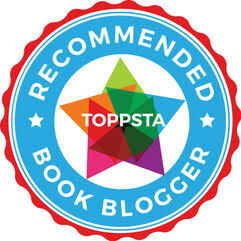 After all, most book bloggers see a complimentary copy of a book as a form of unofficial 'payment' for their time and effort in putting together blog articles and reviews. What if your 'pay' is suddenly halved? What about those unscrupulous folk who sell on the review copies they get? (That's almost worthy of a whole editorial in its own right, personally I can't condone that at all, I think it's wrong but there you go, we donate all our surplus to charities and schools that genuinely need them). 3) Digital copies are economical and easy to distribute en masse but do they really offer the same reading experience that the eventual paper-based book will? (This is a debate that'll never have a right or wrong answer though I did smile about the news this week about a surge in print sales over digital, I can't really explain why I find bucking technology so endearing). There are folk who work entirely digitally and don't really want the clutter or annoyance of dealing with paper books but dang that's a million miles away from where we are. Believe me, and I really cannot stress this loudly enough. We're hugely, hugely grateful for the books we're sent - even the blads - simply because it makes us feel wanted. It's as simple as that. Someone out there wants us to write about their books, and perhaps even values our opinions enough to kindly retweet or mention on their sites a few words we've written. That is so cool and it also means that you are making one little girl very happy because you want to know what she thinks of your books and aren't afraid that she might think they're not up to scratch. But perhaps the way we engage with books is changing, and so the ways we write about books and work with publishers must inevitably change too. I'd love to hear your opinions whether you're a publisher, author, illustrator or book blogger so please do drop a sentence or two below in the comments for this one. As the world holds its breath gearing up for the Summer Olympics in sunny Rio, here's a book that's getting the games off to a flying start! Our book sack is literally overflowing as we move into the summer months, so here's our fabulous fantastic Chapter Book Roundup for July 2016. Kicking off with the return of an inquisitive and cool new hero from Malcolm Judge. We've already taken a look at "Jonny Jakes Investigates - The Hamburgers of Doom" on the blog and now it's time for Book 2. Jonny is still surreptitiously writing for (the now banned) school newspaper The Woodford Word. Jonny's keen nose for a story hadn't quite anticipated a new teacher. Or should we say an old, a very old teacher called Victory Piggot (excellent name!) who last terrorised pupils over a century ago. Now he's back, as a ghostly spirit and keen to pick up right where he left off! That means boiled cabbage, harsh detentions and extra P.E! HORRORS! Can Jonny get to the root of what's causing this supernatural teacher to restlessly pursue his career when he should be spinning in his grave? Fab humour and excitement once again from Malcolm. "Jonny Jakes Investigates - The Old School Ghoul" by Malcolm Judge is out now from Curious Fox Publishing. Sticking with ghosts for a moment, how about a whole crop of ghastly ghosts to contend with? 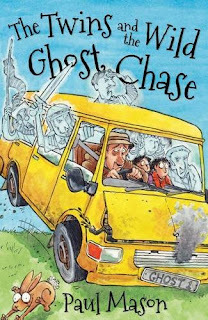 In "The Twins and the Wild Ghost Chase" hapless youngsters Stella and Tom have a rather unusual habit of attracting the undead spirits roaming the earth. All their best friends are, to put no finer point on it, dead and buried but still wandering around rattling chains and making "Woo" noises! Spooky! Stella and Tom's ghostly friends are feeling a bit homesick, so it's time for a crazy family road trip back to where they came from. The only problem is that an evil old ghost-catcher called Stoneyheart rather fancies adding their ghostly friends to his collection. Full of humour and chaos, watch out for "The Twins and the Wild Ghost Chase" by Paul Mason, out now from A & C Black / Black Cats. 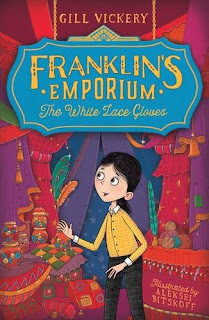 Gill Vickery's "Franklin's Emporium - The White Lace Gloves" is the perfect book for kids who love mystery stories injected with magic and wonder. Unfortunately for Alex, her prissy cousin Maisie has other ideas and drags Alex out for a shopping trip. 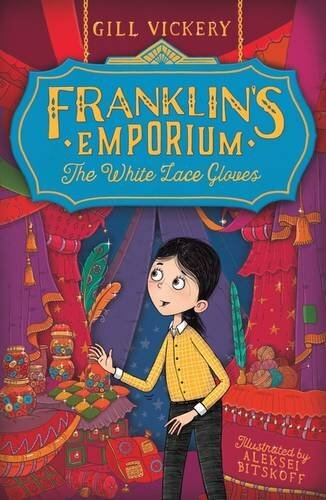 Maisie wants some white lace gloves and so it's time to visit Franklin's Emporium, where shopping isn't quite what it seems and shoppers may end up with more than they bargained for. Everything purchased at the store comes with its own backstory. Will Maisie realise too late that the gloves are magical? Will Alex's keen sleuthing save the day? 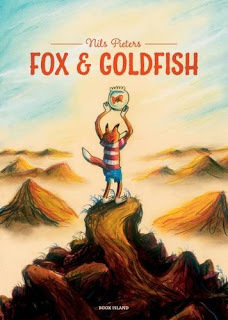 A fabulous mystery story for early readers just getting off to a booky start with chapter readers. Brill illustrations by Aleksei Bitskoff also help bring this tale to life. "Franklin's Emporium - the White Lace Gloves" by Gill Vickery is out now from A & C Black / Black Cats. 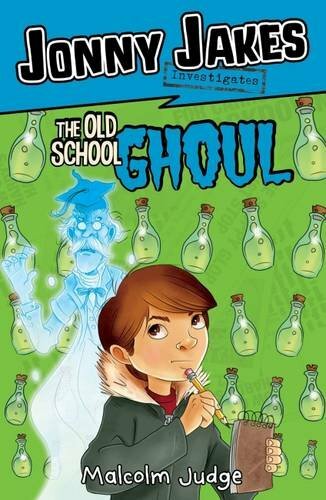 Now, a blog favourite has swapped Dork Diaries for an entirely different dork. 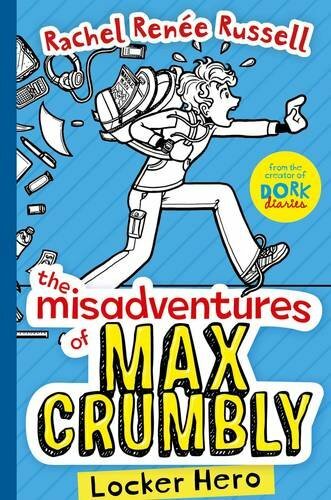 Meet Max Crumbly, in "The Misadventures of Max Crumbly: Locker Hero" by awesome Rachel Renee Russell. Max is just about to start school at the scariest place on earth - South Ridge Middle School. Previously home-schooled by his Grandma, Max has no idea what lays in store for him but excitement mixes with fear as Max meets Doug "Thug" Thurston, the school bully who thinks Max is the perfect size to be stuffed unceremoniously into his locker. And that's just the start of Max's problems. This new series from Rachel once again fuses together diary-like storytelling with all the trials and tribulations most kids will go through when they get to middle grade. Will Max come out the other side unscathed? Time to get to grips with this locker hero! 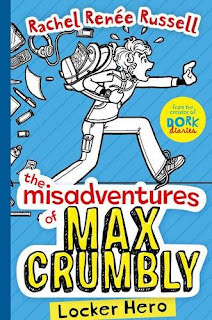 "The Misadventures of Max Crumbly: Locker Hero" by Rachel Renee Russell is out now from Simon and Schuster Children's Books. 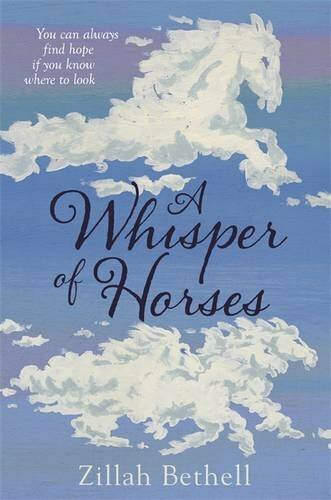 Our next title isn't out until 11th August but you might want to get your preorders in for Zillah Bethell's sublime "A Whisper of Horses", published by Piccadilly Press. We absolutely adore anything that explores alternate realities and in "A Whisper of Horses" we're drawn into an alternative version of Britain, a stark landscape where horses are mythical beasts and no one has seen an actual real live horse for generations. Though images and statues of them exist, a little girl named Serendipity truly believes that they are still alive. Taken under the kindly wing of Professor Nimbus when her mother dies, Serendipity is completely absorbed by his stories and as she grows older, she begins to question the world she is a part of and the harsh regime that holds the country in an iron grip. This book had an almost hypnotic effect on me, reminding me of the work of John Christopher. I was totally engrossed in Seren's world and I truly hope that this isn't the last we see of Zillah's Neu-Britain stories. Entrancing stuff and out in August so not long to wait! Phew, more from Piccadilly Press now and time for some fun...! 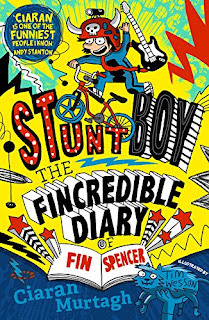 "Stunt Boy - The Fincredible Diary of Fin Spencer" by Ciaran Murtagh with illustrations from Tim Wesson is a riotous laugh a minute of a book. 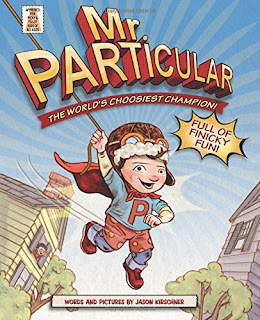 The titular hero, Fin Spencer, is a bit of a crazy and reckless little galoot who believes his derring-do escapades will lead to fortune and glory. 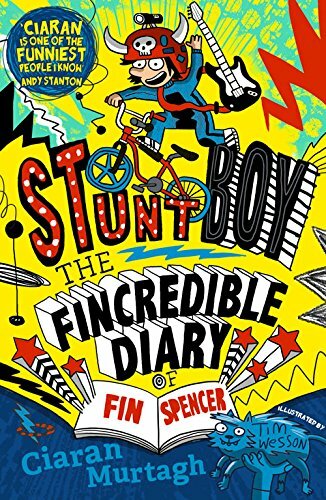 Given a diary by a strange old fortune teller, Fin hits on the idea of writing his own biography to sell when he becomes rich and famous. Fin soon discovers that the diary isn't just any old flea-bitten tome, it has magical powers to alter the minds of those around him. When Fin writes in the diary what he should've done that day rather than what he did, everyone remembers the alternate (made up) version instead. 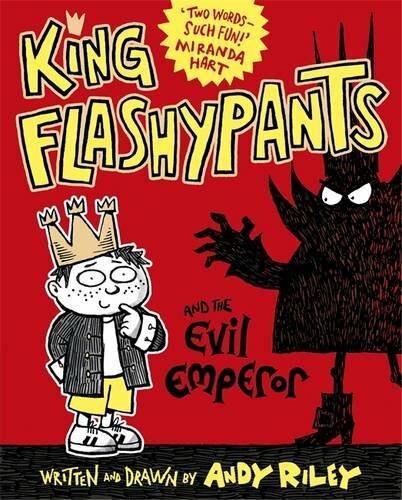 A fiendish plan emerges in Fin's loony brain that could lead to a fast-track to fame - or a recipe for utter disaster! Ciaran Murtagh's hugely imaginative and funny book is absolutely perfect for fans of Danny Wallace and David Walliams. "The Fincredible Diary" was released on 5th March 2015. Can we possibly squeeze in even more? New Jo Cotterill you say? We can squeeze in more! 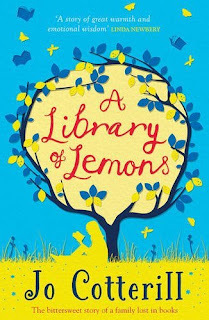 "A Library of Lemons" should definitely come with a warning - have tissues ready! The heartwarming tale of Calypso, a little girl who misses her mum who died when she was tiny, now living with her dad who completely shuts out mum's death and throws himself into writing "A History of The Lemon". Seemingly emotionally blank, and totally unable to discuss or work through his grief, Dad is truly a closed book. When Calypso makes a new friend, Mae, and their love of books and writing brings them together, Calypso sees a stark contrast between her own home life and Mae's happy vibrant and loving family home. Can Mae be the key to unravelling what's really wrong with her Dad and the truth behind his book? Exquisitely written with characters it's impossible not to feel empathy for, this is definitely something special but remember what I said about those tissues OK? "A Library of Lemons" by Jo Cotterill was released on 5th May 2016 from Piccadilly Press. More more more! Oh you're so demanding but we love it. So what's next Madame Charlotte? A truly original and spellbinding new fantasy book from Ali Sparkes is next. 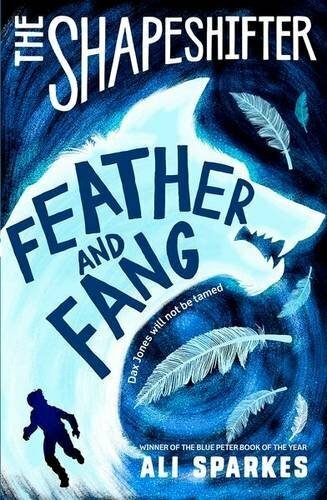 "The Shapeshifter: Feather and Fang" is a scintillating story of a very special group of children. "The Children of Limitless Ability" possess a bizarre range of powers, stretching from telekinetic ability through to invisibility and great physical strength. Dax Jones is possibly the most special of them all, with the power to race through the landscape at breakneck speed, to change his form at will, and breathe underwater for hours on end. Dax and the COLA kids live at Fenton Lodge but the children are under threat as the Prime Minister wants to curtail their behaviour, turning Fenton Lodge into a maximum security prison. Dax and the rest of the kids have one hope. Dax's little sister who wants nothing to do with the COLA group but may be the only person who can free them from their incarceration. This story zips along almost as fast as Dax himself, absolutely chock full of excitement and pace. A gripping and exciting read so do not miss out! "The Shapeshifter: Feather and Fang" by Ali Sparkes was released on 5th May from Oxford University Press. "Bella Broomstick - School Spells" mixes together a groovy little witch and all the trials and tribulations of being a fish out of water in Lou Kuenzler's ace new book. Bella has been sent to live in "Person World" after a happy life amongst magical folk. She loves her new school, she loves her new foster parents Aunty Rose and Uncle Alf, and she quickly makes a new friend Esme. But there's always a dark blot on the horizon, and this particular blot is a nasty bully called Piers Seymour. When Bella and Esme are preparing for the school summer talent show, Piers lurks in the wings determined to royally screw up their performance! What a ratbag! Can Bella pull something spectacular out of her hat to save the performance and the day and perhaps teach rotten Piers a lesson into the bargain? 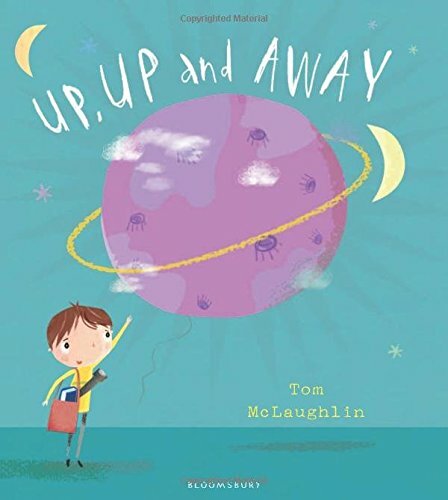 It's a fantastic young readers title perfect for girls and boys who love a heady mix of school adventures and a dash of magic. 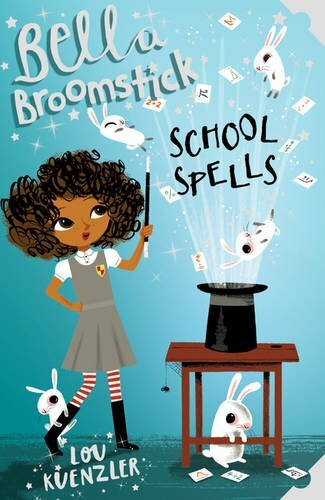 "Bella Broomstick - School Spells" was released on 7th July 2016 from Scholastic Publishing. Sticking with witches, a new book from an extremely talented young lady! 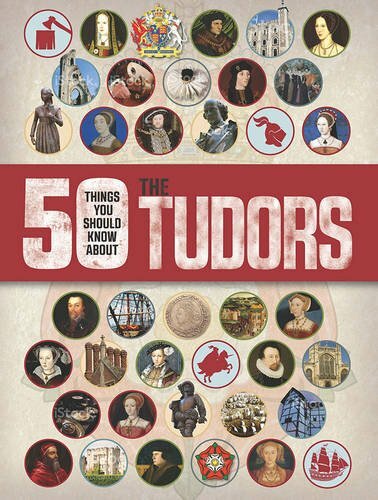 Sadly there's no cover shot for this book yet (it's THAT new and isn't out until October so we've been very lucky to get a very early Halloweeny-style preview of it). Abie is well known for writing the awesome (and very popular with Charlotte) "Fairy Tale Hairdresser" series of children's picture books. Now she's turning her attention to all things witchy in "How to Catch a Witch", published by Scholastic Publishing. Charlie and her family move from the hubbub of the big city to a small sleepy village seemingly in the middle of nowhere. For Charlie there's a ton of anxious worrying about her new school, her new (creepy) house and some distinctly odd characters who lurk in her new locale. At school things are no different. Charlie's classmate Cat is very odd, and seems to have taken rather an interest in Charlie's comings and goings. And then there's Agatha who may lack cauldron and cat but is definitely, most definitely a witch. Charlie resolves to make the best of her new surroundings, but as the weird place starts to affect her behaviour more and more, Charlie realises that she may be the only person who can help a neighbourhood singer who is cursed to lose her golden voice when she turns 16. Thrilling, original and full of mystery, this had Charlotte completely hooked! Watch out for "How to Catch a Witch" when it arrives on shelves in October, just in time for Halloween! Phew! July came and went in the blink of an eye and so did our book roundup this month. Tune in next month when we dive into August's chapter book bag and bring you treasures anew! 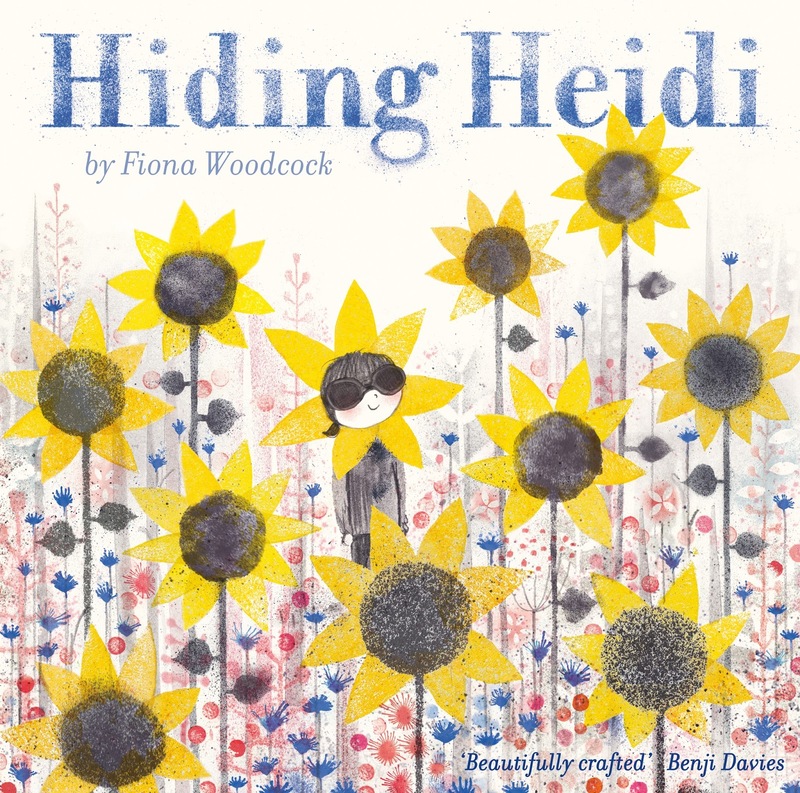 We raved about "Hiding Heidi" when we recently reviewed it on Read It, Daddy. 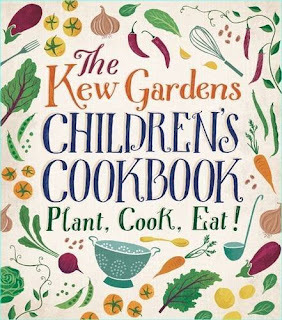 Now we're very fortunate to be able to bring you a fantastic guest post from author illustrator Fiona Woodcock, sharing with us her hidden inspirations for this brilliant children's book. Take it away, Fiona! I realised recently that three images I have on my desk perfectly capture my visual approach to creating Hiding Heidi, my first picture book. Although I wasn't conscious of being inspired by them at the time! 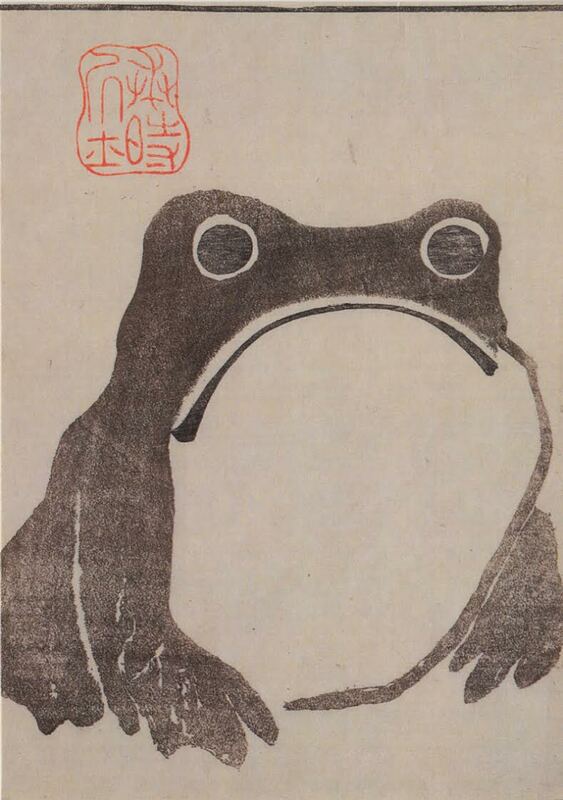 This frog postcard from The British Museum has been pride of place in my studio for years. It's a beautifully simple woodblock print from 1814 by Matsumoto Hoji, which reminds me that less is more. And also relates to my rubber stamp printed colour work in the book. 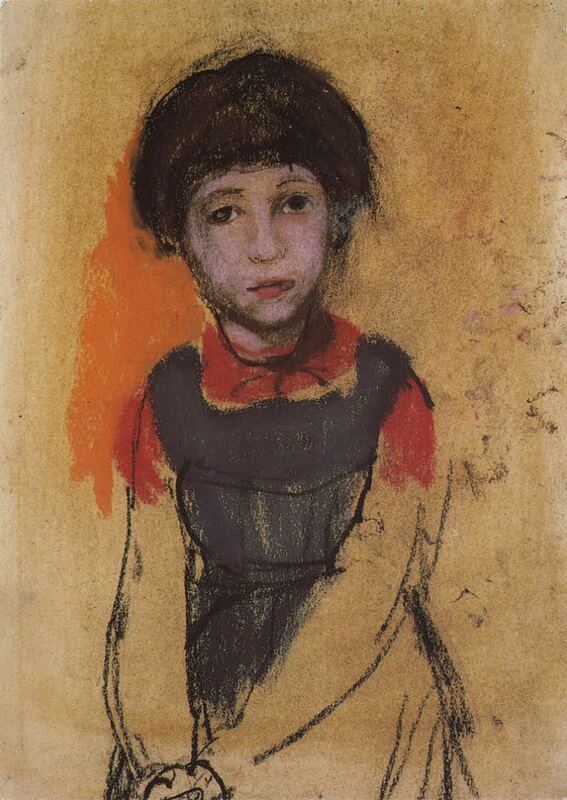 The second image is a postcard by Joan Eardley of a girl in a gym slip from Aberdeen Art Gallery, drawn in chalk and pastel. I became a fan of Eardley's work when I was a student at Glasgow School of Art. I love the sketchy unfinished feel of this drawing. This represents the pencil work of the characters in the book and the looseness and energy of the drawn line. 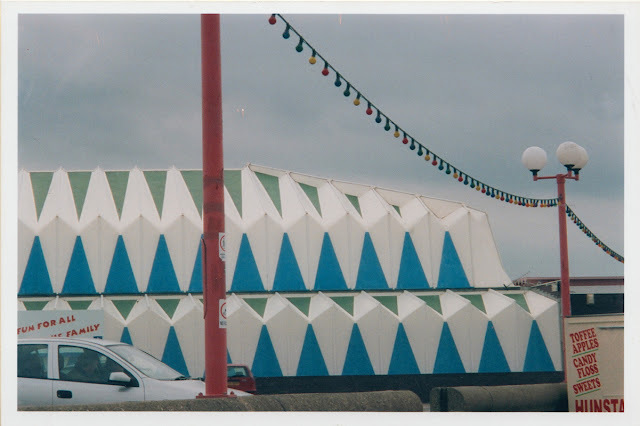 And the third image is a photo I took years ago at Hunstanton in Norfolk, of a triangular structure at an out of season fairground. It's a good example of how I'm drawn to graphic pattern. In the book I tried to describe Heidi's world with simplified shapes colour and pattern. From an early age Fiona knew that she wanted to earn her living drawing. Since graduating from Glasgow School of Art she has been working freelance in London on animated films, commercials, animation artwork for West End shows and illustration work. All the projects she works on have a paper based handmade origin. She likes to work with a combination of pencil, paint, charcoal, children’s blow pens, cutting stencils and experimenting with print techniques whilst dreaming up new characters and stories. Hiding Heidi is her debut picture book. A truly stunning picture book encompassing the beauty of our earth, the birds and animals that live on it, and of course a strong eco message. 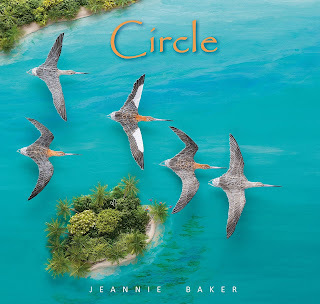 Let's dip into "Circle" by Jeannie Baker. A trio of perfect picture books from Child's Play coming soon to a bookstore near you! We're catching up with some new releases from the awesome children's publisher Child's Play. 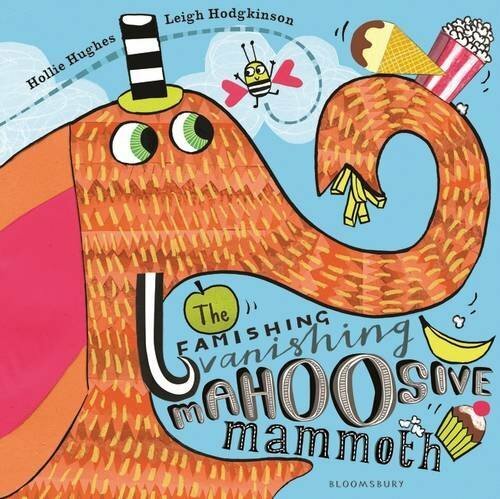 Here's a trio of tempting and original books to keep your little ones spellbound over the summer holidays. 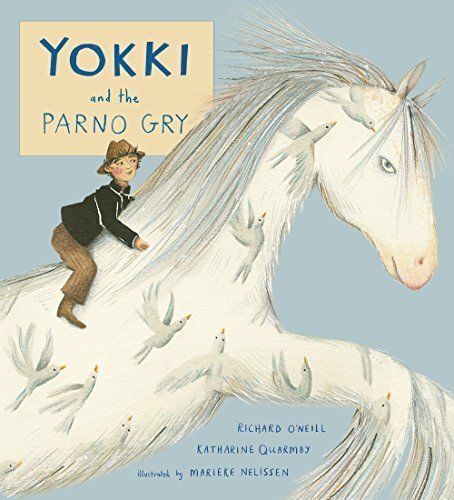 First is "Yokki and the Parno Gry" by Richard O'Neill, Katherine Quarmby and Marieke Nelissen. 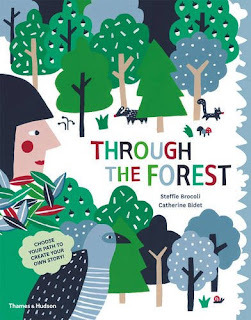 A traditional Romani folk tale is brought to stunning life in this engaging children's picture book. A traveller family experience the highs and lows of life on the road along with Yokki, a young boy set to change their fortunes forever. Every night he tells tales of an amazing and magical white horse, a mythical creature that bestows good fortune on those who need it most, arriving in their darkest hour. As the family's travels continue, Yokki regales them with fantastical stories but can there really be a whiff of truth to Yokki's tales? As their fortunes change, Yokki's stories are needed more than ever. Will the Parno Gry really come to save them from despair? 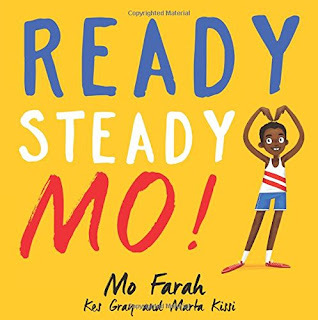 This is a hugely original and engaging story introducing characters and stories from other cultures in an engaging and delightful way. "Yokki and the Parno Gry" is published by Child's Play on 1st August 2016. Once again by Richard O'Neill and Katherine Quarmby, and this time illustrated by Hannah Tolson, meet "Ossiri and the Bala Mengro", an original tale of mystery, music and monsters. Young Ossiri creates a flute from a piece of willow and a stack of recycled objects, but it sounds truly awful! None of her family can stand the noise so Ossiri is banished to practice her tuneless musical skills a long way off from their camp. Ignoring warnings about the ogre that lives in the hills, Ossiri unwittingly awakens the huge and fearsome beast! Oh no! Amazingly, the Ogre wants her to continue playing and soon they form a beautiful friendship signalling a change in Ossiri's fortunes as Ossiri and the Bala Mengro discover the delights and joys of music and dance. The Bala Mengro shares his fortune with Ossiri but avaricious eyes plan to steal her instrument and grab some of that good fortune to boot! Will the dastardly plans of a stranger see Ossiri left without her treasured musical instrument and her new found friend? 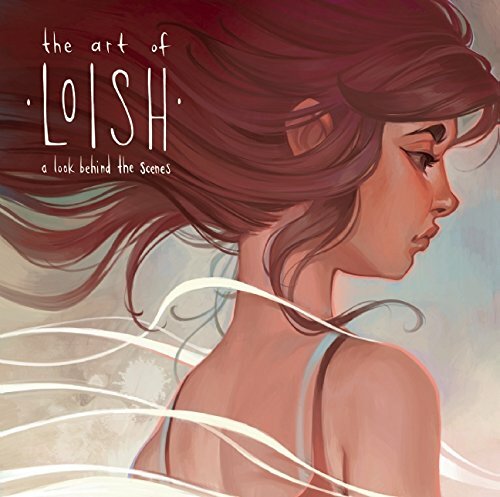 A truly stunning and immersive story that's sure to win you over. 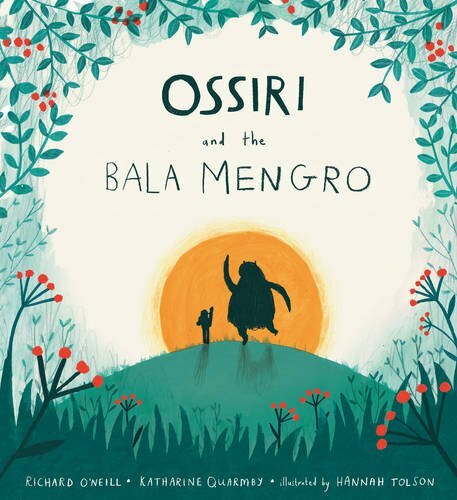 "Ossiri and the Bala Mengro" is also released by Child's Play on 1st August 2016. 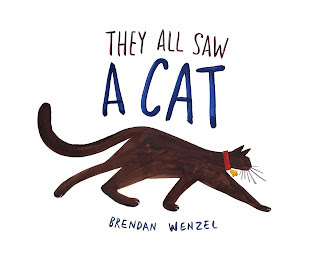 Our final book in our Child's Play roundup is actually our favourite of the three, but we're suckers for utterly cute animals. In "Mayday Mouse" by Sebastian Braun, a tiny sailor mouse sets sail on the ocean deep in her adorable little craft. Made from a cocktail stick, half a walnut shell and a hankie for a sail, Captain Mouse sets off on a mission to deliver a delicious gift to her adoring brother. Captain Mouse heeds the warnings about the choppy waves and harsh winds, and all too soon finds herself marooned on a tiny spit of sand, the waves lapping at her heels. But thankfully Captain Mouse has some truly awesome friends who leap to her aid, bringing her all the materials she'll need to build another boat and finish her ocean-going quest to find her brother. 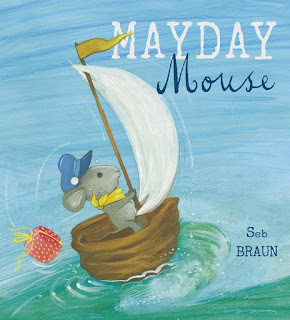 We loved this book so much that it inspired us to make our own little cork boat like Captain Mouse's - so maybe that's something you'd love to try for yourself too! "Mayday Mouse" was released on 8th June 2016 from Child's Play. Frog has just about had enough. It's time for a change, a huge massive change and Frog is starting right here, right now...! First up is "The Messy Book" by Maudie Powell-Tuck and Richard Smythe. Mess is a subject dear to many little ones (and a nightmare for parents who can see a lovely clean living room reduced to a colourful mess of colouring pencils, tissue paper, toys, lego and goodness knows what else in a matter of seconds once little ones get their way - doubly so at this time of the year!). But the mess creator this time is a cat who absolutely refuses to clean up! Dog tries desperately to convince Cat (with help from Giraffe, Penguin and a whole host of other animals) that a tidy house is a comfy house, but it's taking some doing. 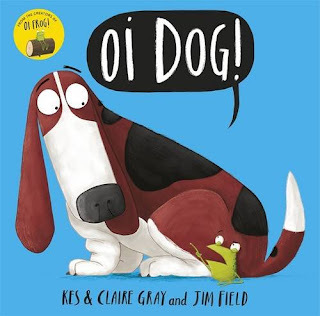 Little ones will absolutely adore reading along to this one, and Richard Smythe's fantastic Jon Klassen-like illustrations are a complete win for us. 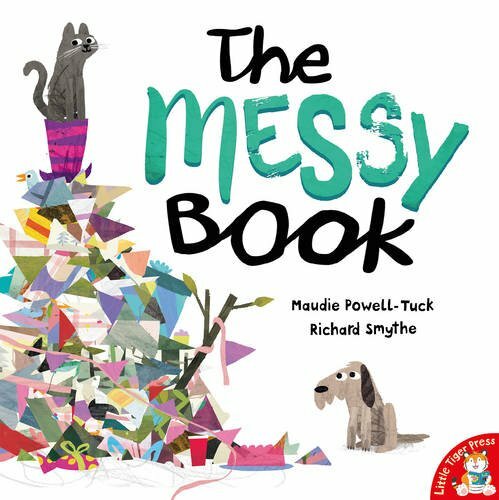 "The Messy Book" is out on 28th July from Little Tiger. 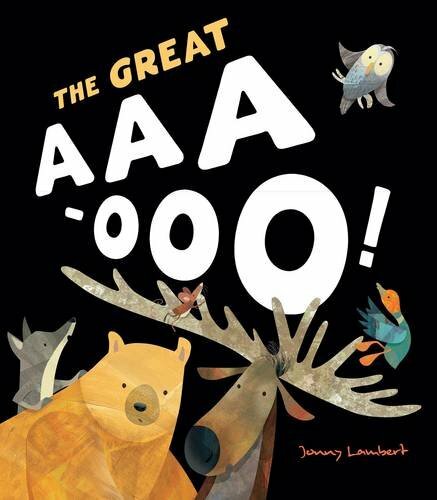 More animal capers abound in "The Great Aaa-ooo!" by Jonny Lambert. Mouse is scampering home through the deep dark rackety wood and as he scampers he hears a fearsome "AAA-OOO!" What could be making that horrible blood-curdling howl? Could it be Owl, Moose, Bear or Goose? Or could it be ...a monster? 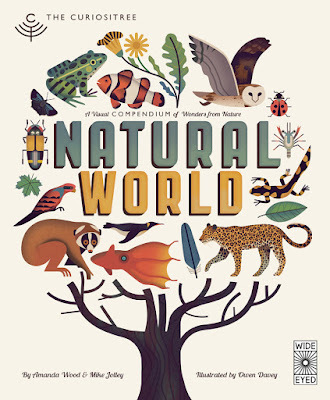 A superb bedtime read (despite the initial 'scary' aaa-ooo, great to join in with the hooting and howling though!). 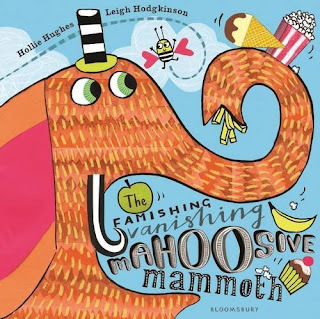 Jonny Lambert's endearing and awesome animal creations and illustrations really make this book stand out. What is The Great Aaa-ooo though? Hah, we're not going to tell you, you'll have to read this fantastic book to find out. Out on August 1st from Little Tiger. Next, it's a rootin' tootin' pencil-packing galoot with a big hat and an equally big heart. 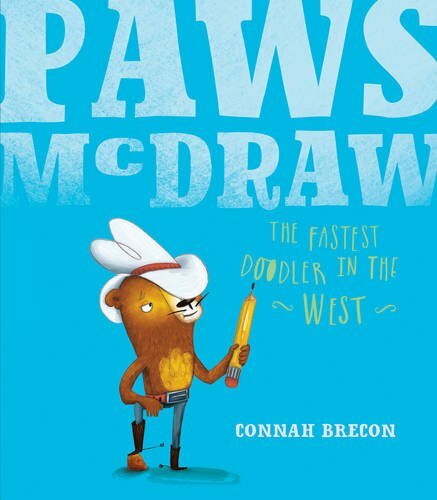 "Paws McDraw - The Fastest Doodler in the West" by Connah Brecon is a hugely entertaining story of a super-sketching hound with fabulous drawing skills. Paws can knock up the perfect drawing in no time at all. A gaggle of sneaky Racoons are out to make mischief at the annual Bunny Cupcake Carnival. Can even a super-swift sketcher like Paws put up with those nefarious furry miscreants? 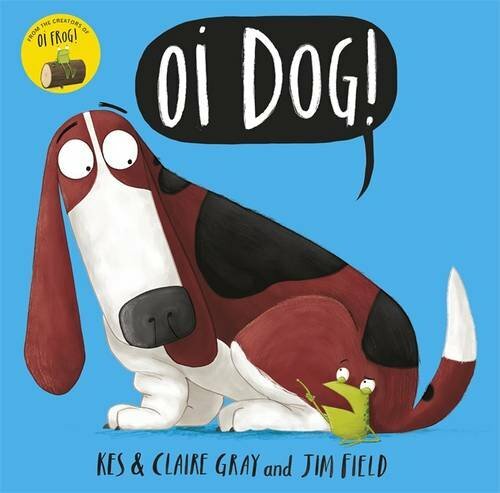 A hugely original and entertaining book for cowboy-obsessed little ones (yes, like Charlotte! ), "Paws McDraw" is out on 1st August from Little Tiger. Little Brother will not be allowed to join in Big Brother's game until he tracks down a Snappenpoop. 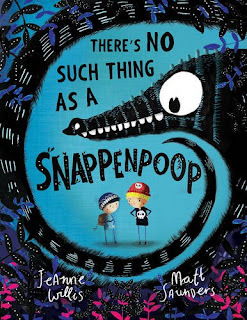 But everybody knows there's no such thing as a Snappenpoop ...or IS there? Picture book superstar Jeanne Willis is teamed up with debut illustrator Matt Saunders for a book packed with magical creatures and bossy brothers. We loved the delicious twist in the tail of this tale! 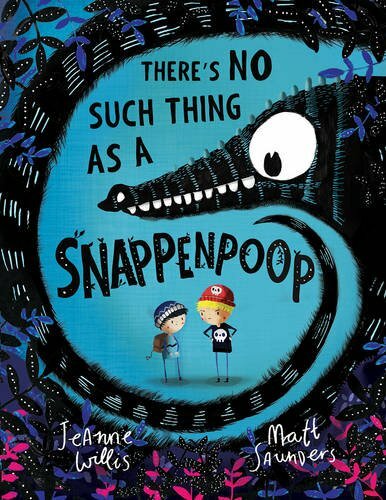 "There's No Such Thing as a Snappenpoop" is out on 1st August from Little Tiger. What would you do if you, as a kid, were put in charge of a vast kingdom? Would power go to your head? Hungry? You will be by the time you reach the end of this fantastic story...! 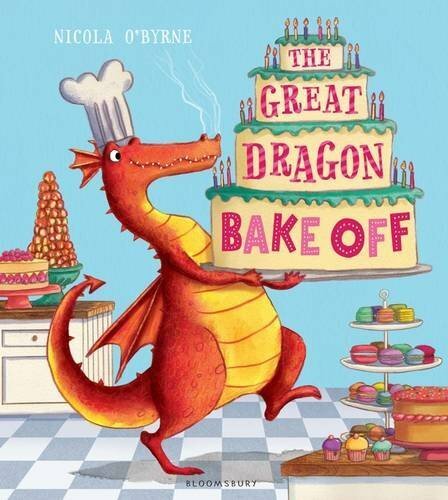 Our Second Book of the Week is quite literally a tasty treat. 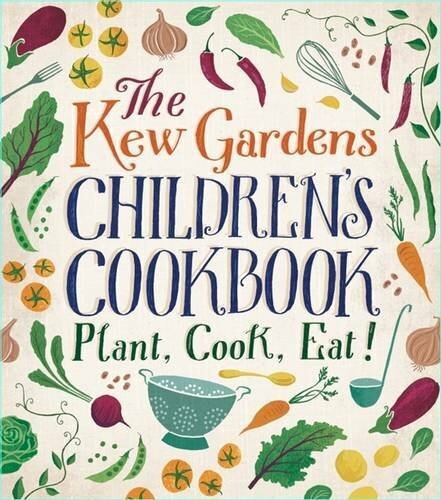 Grow, pick and cook ingredients for some amazing dishes in "The Kew Gardens Children's Cookbook"
A trippy, zippy and somewhat slinky book is our first book of the week this week. Step into the silken shoes of a moggy! 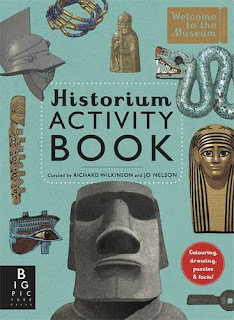 Big Picture Press's "Museum" books are (deservedly) titles to be reckoned with! We're up, up and away now with a finicky picky mister. It's Mr Particular, the world's choosiest champion! 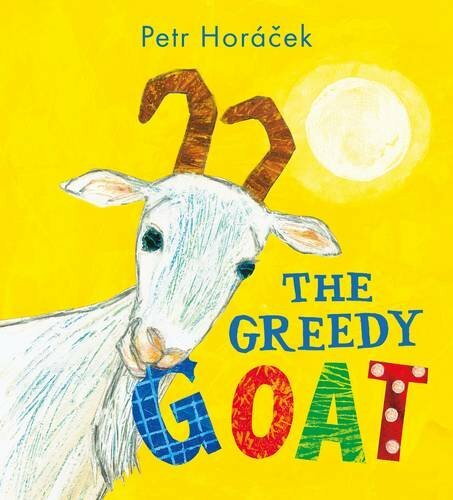 If ever there was a brilliant choice of animal character for a book, it has to be a greedy goat! Our Second Book of the Week oozes luxurious wonder across every page spread. 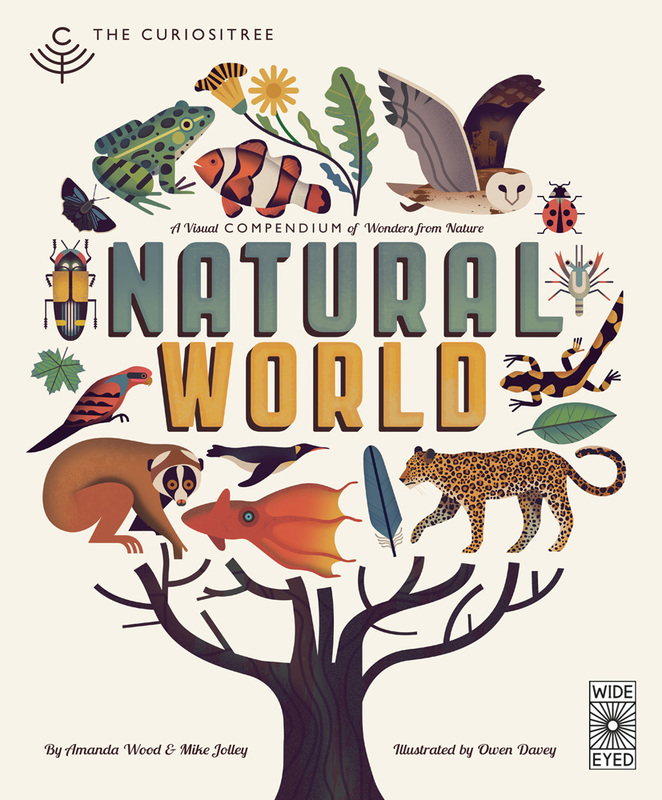 The fabulous "Natural World"
Our first Book of the Week this week is a comic compilation par excellence. 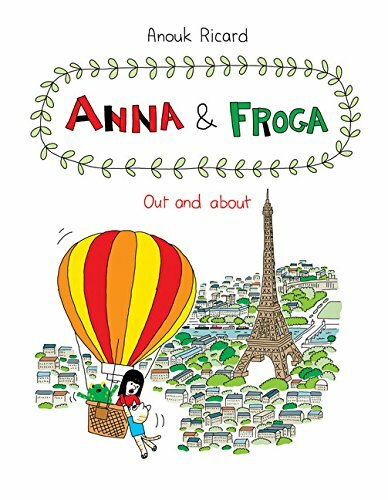 Meet Anna and Froga and their slightly kooky friends! More and more these days, parents are under huge pressure to perform. The expectations placed on the shoulders of new parents are almost as colossal as having to shoulder the bulk of the entire earth at times as you see the perfect parents depicted in your Waitrose magazine, hiring a quaint little yurt somewhere in the middle of nowhere for the entire summer, or being paraded on TV through any number of cheesy faux-reality shows. There is at least one place that parents get a chance to shine, to perform, to rediscover a talent that they may have believed was lost for good. Quietly ask yourself when was the last time you HAD to read aloud, that is read something out to someone else as clearly as possible. Maybe you have to do this regularly at work, or perhaps the last time you read anything out loud was at school. Most talented writers will tell you that they regularly read their own work out loud, purely to gauge how it sounds in their own voice rather than just their inner voice. Reading out loud to a child isn't easy. In most things children demand perfection and Charlotte is no exception. She regularly (quite brutally) criticises my doodling and drawing. She's scathing about my Skating (the flipping CHEEK of it!) As for fashion sense? Probably not even a good idea to go there. But I think I won the tiniest victory when it came to reading out loud. We're working our way through the books featured at the top of this article. 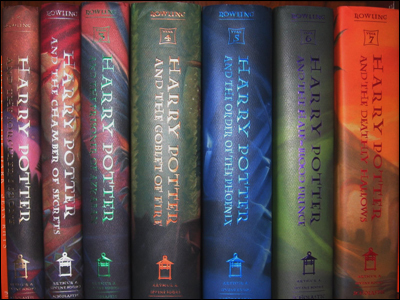 Yes, good old Harry (bless him), juggling the weighty tome of "Harry Potter and the Order of the Phoenix" isn't easy at the best of times, but to read a book like that aloud takes a bit more effort than you'd think. I remember breezing through the book when it was first published, around the time when Potter mania was at its peak and just about everywhere you looked, you would see people toting their own copy of that red and gold cover, desperate to find out what happened next in the wizarding world. For what it's worth, the big thick book could've done with being a good few chapters shorter (christ, doesn't it DRAG at the beginning) but once the boy wizard is back at Hogwarts it's full steam ahead. Finding my reading voice for the Harry Potter books has been a challenge. When Charlotte's diet solely consisted of picture books, with a smattering of shorter chapter stuff if she wanted it, it was easy to dip into a book, rattle it out a few times gaining more and more practice each time, and perfect each reading turning it almost into a sweet little performance piece (I still say that this is probably the only reason I wasn't booed horribly off the 'stage' when Charlotte and I read a selection of our favourite books out loud at Mostly Books once). With the bigger thicker stuff, you more or less get one chance to find your rhythm and pace, and to find the right voice for the narrative, and if you're really feeling flashy, for the various characters that crop up in the story. I've been told off for reading Hermione as a tad too prissy and posh, I've been pilloried for reading Ron as a sort of lackadaisical mumbler and I've been really given grief for reading Harry as a slightly moody sulky teen (which, by the time you get into "The Order of the Phoenix", you really do see more and more from his character). Some people do not find reading aloud easy. I'm one of them, and I am naturally not the world's clearest speaker. Even when I'm reading aloud in the confines of our own home, to my beloved daughter, I still feel like everyone else in the world can hear and can judge. Surprisingly though, it is one of those 'tasks' that comes with being a parent that is a joyful one, and one that reaps its own rewards when an exciting chapter drives your reading on and imbues you with newfound enthusiasm and energy for something that not nearly enough people get to do in the normal course of their lives. Reading out loud is great, do it more. Win at it but also readily accept that it really isn't as easy as it sounds. 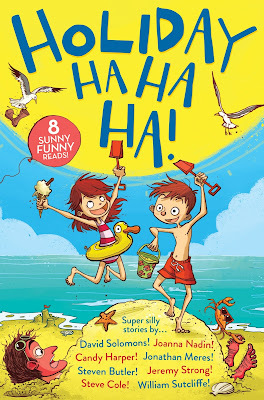 A ho ho ha ha hee hee Holiday Ha Ha Ha Blog Tour post from awesome Candy Harper! 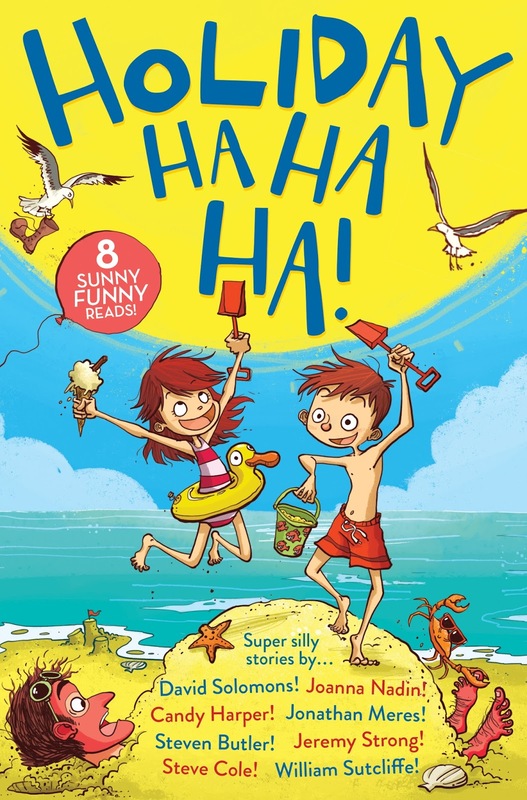 Today we're VERY lucky to have an awesome guest post from Candy Harper, author of several brilliant children's stories including a rib-tickling tale for the new "Holiday Ha Ha Ha" story compilation, which was released on 30th June 2016 by Simon and Schuster. 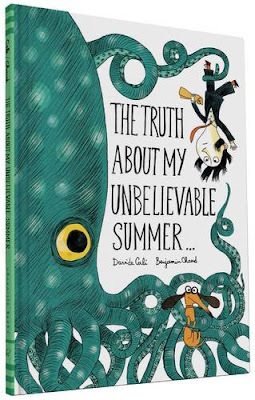 Along with the esteemed company of David Solomons, Joanna Nadin, Jonathan Meres, Steven Butler, Jeremy Strong, Steve Cole and William Sutcliffe, it's the sort of fantastic story compilation I'd have squealed loudly for as a bored kid in the long summer holidays. Check out our June Chapter Book Roundup where we talk about the book in a bit more detail by the way! The summer I was five and my sister was seven, my parents told us that this year we wouldn’t be going on holiday to Devon as we usually did. We were devastated. A week on the windy (and frequently rainy) beach was the absolute high point of our entire year. Fortunately, the following day, my sister came up with a brilliant idea to cheer us up. My sister has always been full of brilliant ideas: there was the time she decided we should make our own wine from the grapes in our lunch boxes, there was the time she thought we could make some money by selling things from around the house that were clearly no longer needed, and there was the time she told me that I could totally pull off blue hair (that one wasn’t very long ago). Granted, none of these schemes actually ended in success, but I couldn’t be a writer if I wasn’t the sort of person that gets wildly excited about a project at the beginning with no thought as to how things will end. That’s my excuse for agreeing without hesitation when my sister said, We should make a bedroom beach! Yep. That was my sister’s plan. To get started, what we really wanted was some sand, but we didn’t have any sand. What we did have was talc. One tube of Lily of the Valley (Mum’s present from Nan last Christmas) one tube of Cherry Kiss Shimmer Shine (from our eldest sister’s dressing table) and one tube Avon’s Black Suede for Men (my dad’s, it smelt like the dentist’s). They were all sprinkled gaily across the wooden floorboards of our bedroom. Next, we needed somewhere to paddle. In the end we thought it best to contain our ocean and settled on filling a drawer from our dresser with water. Our beautiful beach was complete and now it was time to enjoy it. We were couldn’t find our swimming costumes, so my sister came up with a substitute for bikinis: a matching set of my mum’s underwear. They were a bit big, but you’d be amazed by what you can hold up with an entire packet of plasters. We then proceeded to have as much fun whilst making a terrible mess as only small children can. My mum was busy occupying our baby sister downstairs so we splashed and frolicked happily for some time. Until we realised that water was leaking out from the joints in the drawer. Our lovely powdery ‘sand’ was slowly turning into a thick, grey paste. My sister insisted that this would only make it easier to build castles out of. As she reached forward to demonstrate she bumped the drawer hard and a wave of water sloshed over the edge making a small lake in the middle of the room. She looked at me and I looked at her. It was the look that siblings give each other when they know they are both in deep trouble. (The look you give your sibling when it’s just them in trouble is quite different).Suddenly the beach didn’t seem like such a wonderful idea. It was at this point we heard my mum’s steps on the stairs. I won’t repeat exactly what was said when she found us. All I can say is that it wasn’t nearly as bad as when she found the bedroom ‘ice rink’ that we made that Christmas. 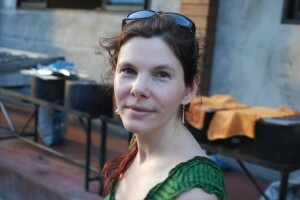 Candy Harper is a graduate of the Bath Spa MA in Creative Writing for Young People. She grew up in Oxfordshire as the fourth of five sisters. She has been a Waterstone's bookseller, a teacher and the person who puts those little stickers on apples. 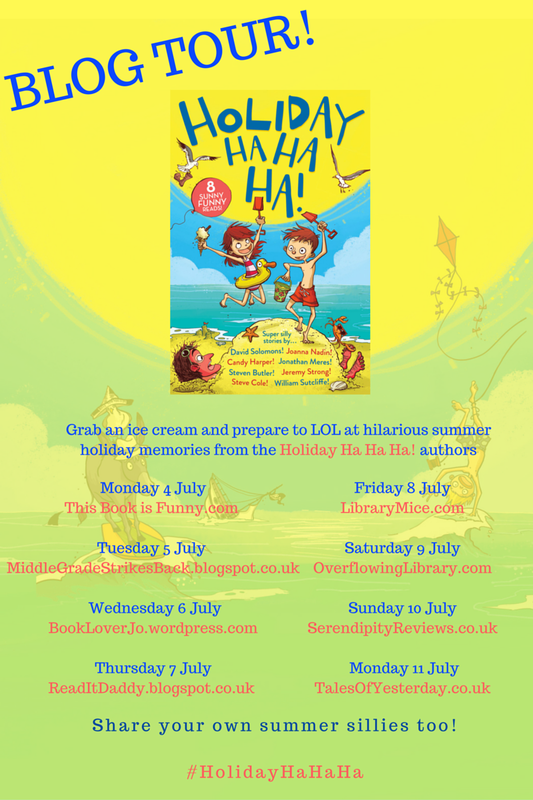 Don't forget to catch up with posts on the other Blog Tour stops! 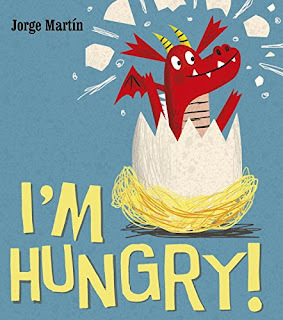 What happens when a little dragon hatches out of her shell and feels rather peckish? We run, that's what happens! Five fantastic comics to get your kids interested in reading! 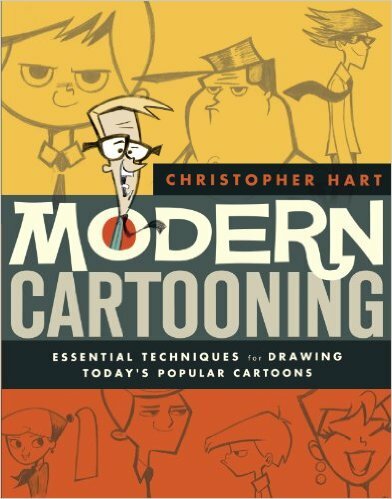 Comics have always had a bit of a poor reputation when it comes to literacy, and yet they're such a fantastic way to engage reluctant readers. So why the bad rep? 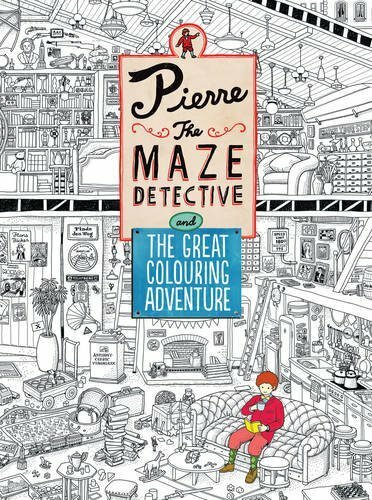 Let's try and redress the balance by showing you a heady mix of five utterly essential comics, graphic novels or comic strip collections that will give your child a brilliant head start and an urge to read more. 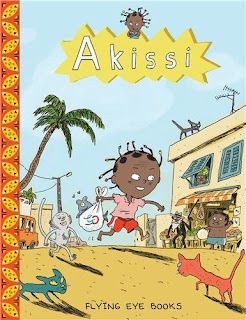 Kicking off with Marguerite Abouet and Mathieu Sapin's sublime "Akissi", the first collection has been translated into English and is now available through Flying Eye Books. Akissi is the story of a little West African girl and her mischievous little life. 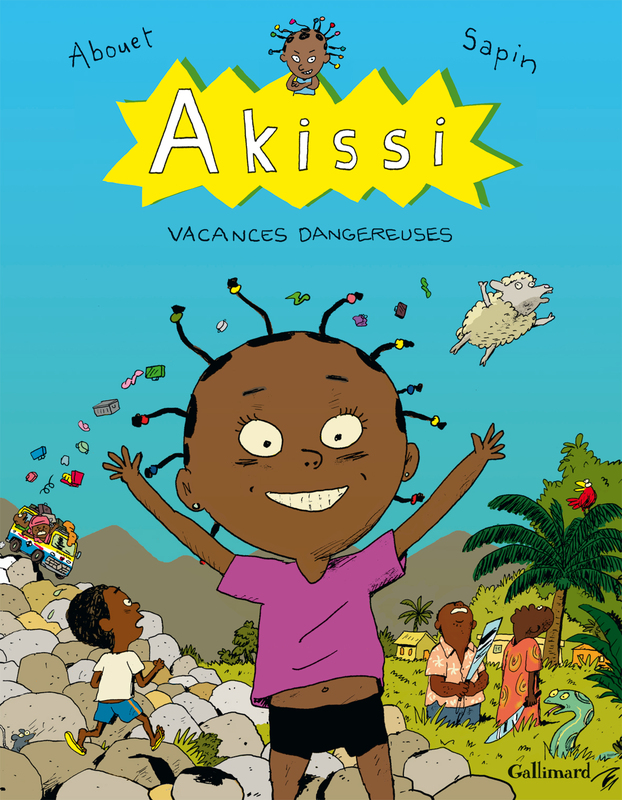 She's definitely no prim and proper princess but she has a superbly infectious joie de vivre that saw the Akissi collection move straight into our Book of the Week slot. Everything from a spot of sneaky subversive babysitting to a brand new family pet (a rather naughty monkey called BouBou) and of course a goodly dose of sibling rivalry between Akissi and her older brother and sister. The collection is brilliant (and quite gross in places, we'll warn you in advance about the last story in the Flying Eye collection that involves tapeworms, AIEEEE!) but it's riotously funny stuff. 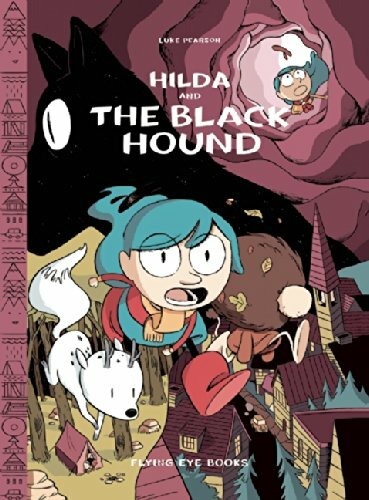 "Hilda" by Luke Pearson is a sublime cocktail of Nordic-noir, child-friendly adventures and a whole ton of adventure and excitement that feels like it pays nods to the likes of Tintin and Asterix in scale and scope. The first "Hildafolk" (now renamed and republished as Hilda and the Troll) paved the way swiftly for Hilda and the Bird Parade, Hilda and The Midnight Giant and Hilda and the Black Hound (with Hilda and the Stone Forest arriving this September). As with all our recommendations, this is a fantastic series that has strong appeal to both boys AND girls so catch up with Hilda's amazing adventures as soon as you can, and look forward to an upcoming Netflix series being worked on as we type! Cannot wait for that one. 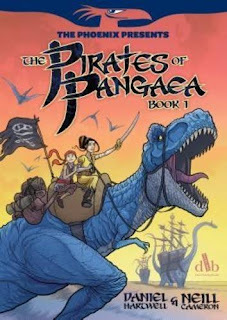 "Pirates of Pangaea" by Daniel Hartwell and Neill Cameron is a strip that has regularly run in our favourite weekly comic, the mighty "Phoenix". Collected together in volume one, you can now catch up with Sophie Delacourt, a young girl who embarks on a perilous journey to stay with her uncle but ends up kidnapped by nefarious pirates all set against a lost world landscape inhabited by dinosaurs. Pirates use these giant beasts to roam the landscape and in Book 1 we see Sophie largely adapting to a completely new way of life. This plucky 12 year old's bravery is tested to the max as she learns the secret of how dinosaurs are tamed by a mysterious botanic concoction that subdues and controls them. Sophie herself ends up taming a T-Rex lovingly named Cornflower, and thus her adventures really begin. The storytelling is tight, absolutely chock full of excitement and derring-do. Probably more suitable for older children but still an utterly fantastic introduction to the Phoenix Comic and the hugely talented folk who contribute to it. Though we're not really doing it on purpose, we're still sticking with female heroes because...well because that's where all the cool stuff seems to be going on at the moment, and what's drawing us in the most. Andi Watson's awesome "Gum Girl" is a fantastic mix of school tales and superhero (and super-villain) craziness. 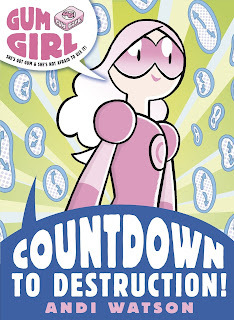 Gum Girl is an ordinary everyday girl who just happens to have a rather sticky but stupendous super-power. She can use her chemistry skills to make an amazing bubblegum that possesses super-strength, and can be moulded into tons of cool shapes to save Gumgirl in times of danger and crisis. 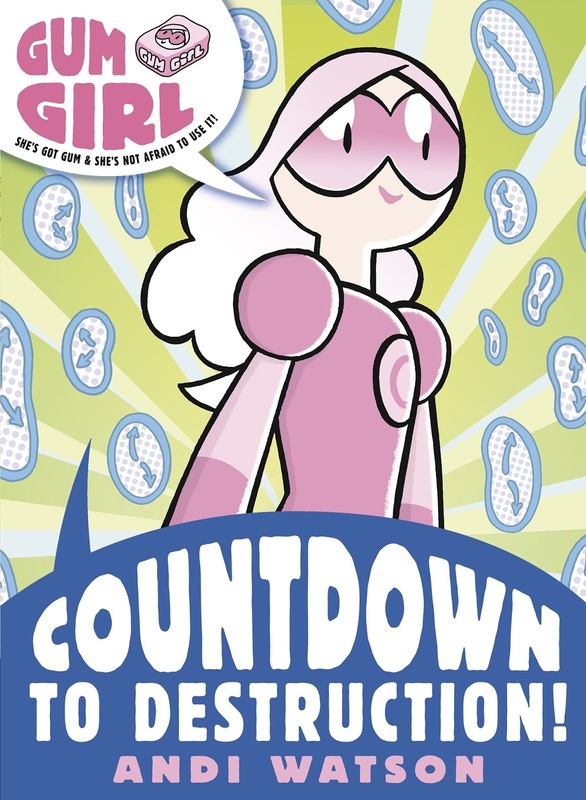 Gum Girl now stars in three separate collections, pitting her wits and gum against weird father christmases, absurd easter bunnies and a ton of nefarious characters hell bent on destroying her school and home town. 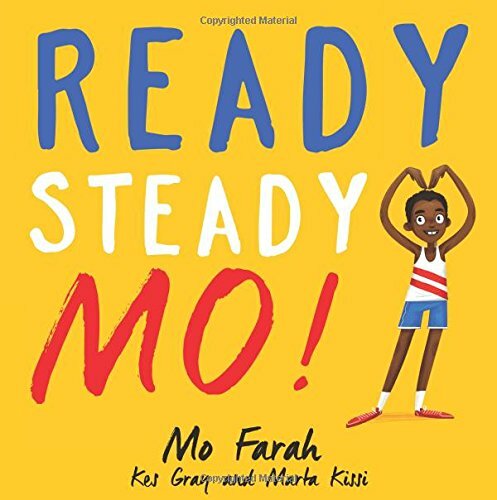 As you'd expect from a superhero comic, this is fast-paced action-packed stuff and if you'll pardon the pun, will give your little ones plenty to chew on! 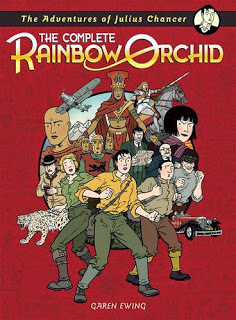 A heady mix of Tintin-esque adventuring, saturday morning pulp and swashbuckling action, it's one of those comics we return to again and again. So that concludes our round-up. Suffice to say that we've merely dipped a toe into the water when it comes to the sheer brilliance on offer to today's kids when it comes to awesome comic action. If you've got a favourite and want to shout about it, please do drop a comment below as we're always on the hunt for the cream of comic action!